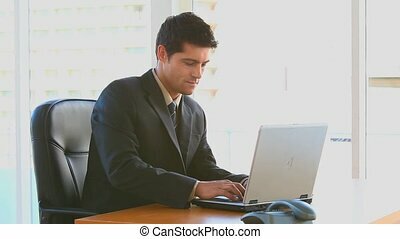 Businessman having video chat on laptop at office. 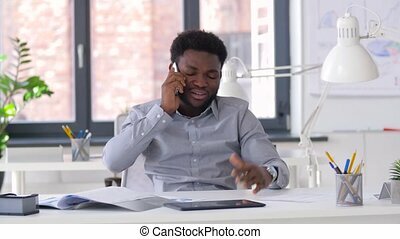 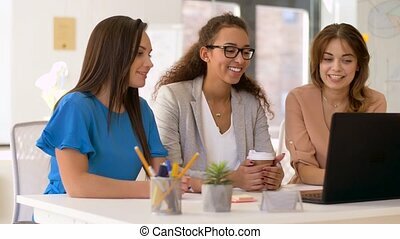 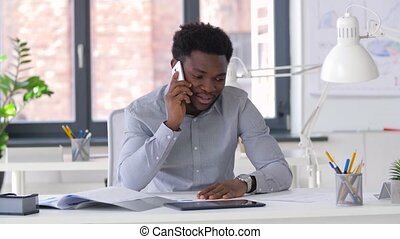 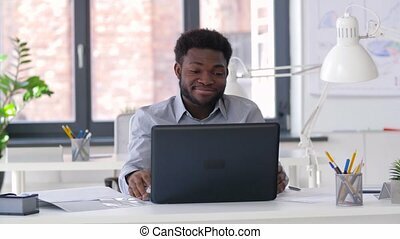 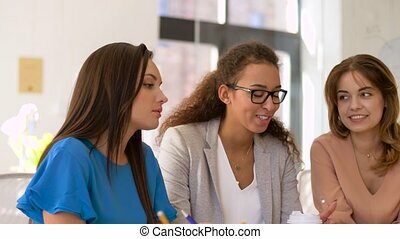 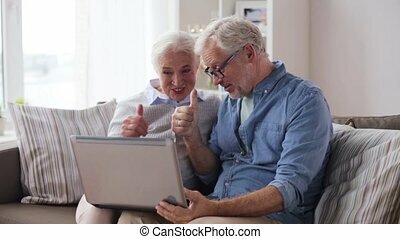 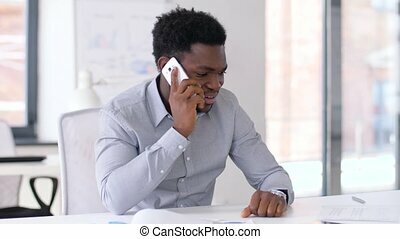 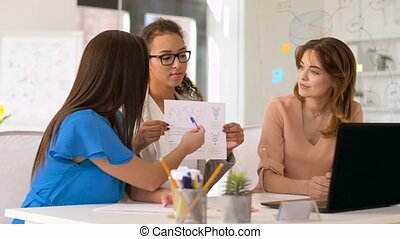 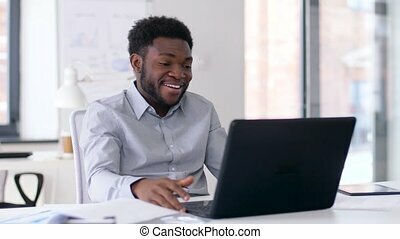 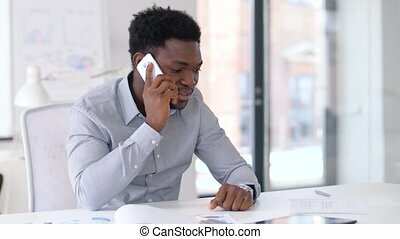 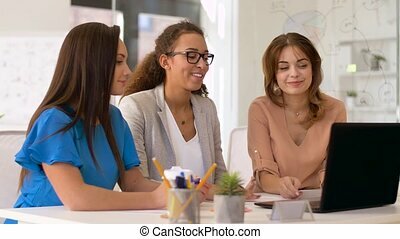 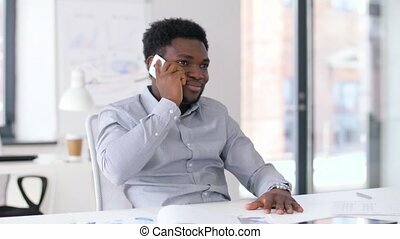 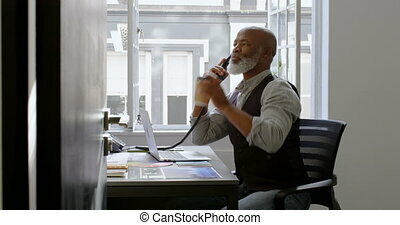 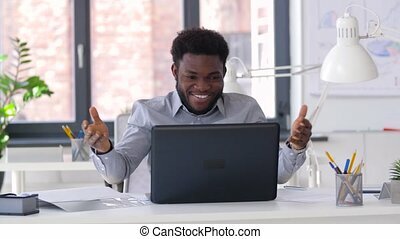 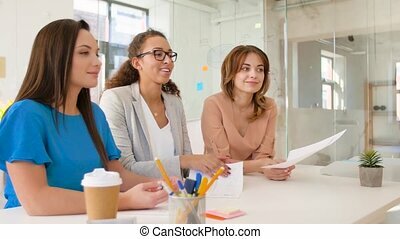 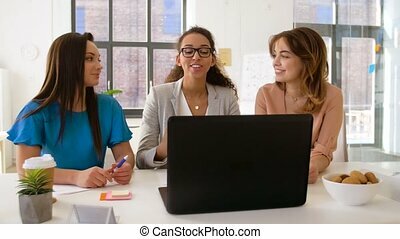 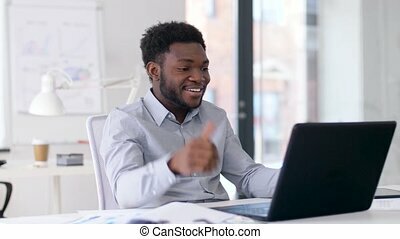 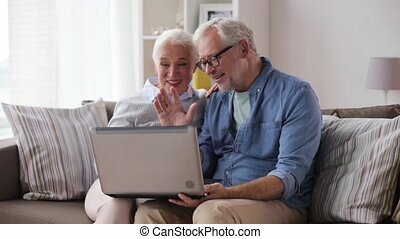 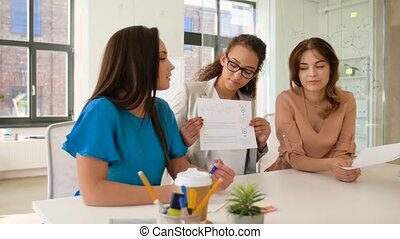 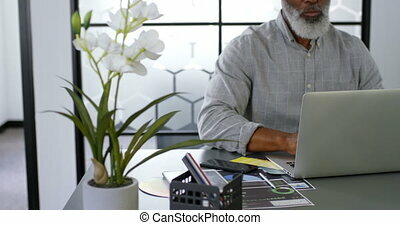 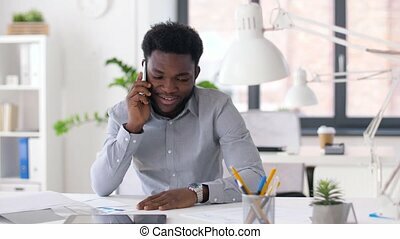 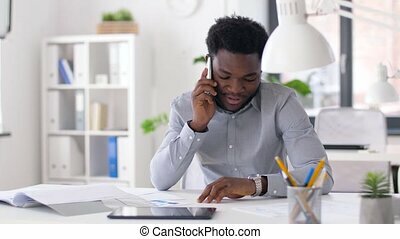 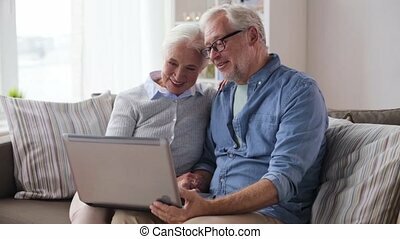 Business, technology and communication concept - happy smiling african american businessman having video chat on laptop computer at office. 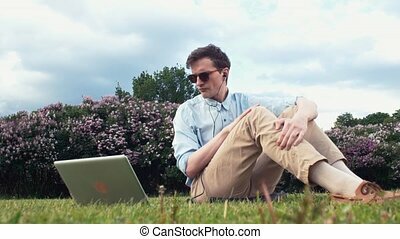 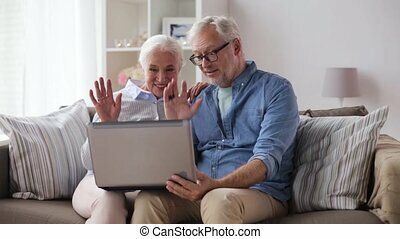 Caucasian young man in sunglasses having video chat at laptop sitting on green grass at park. 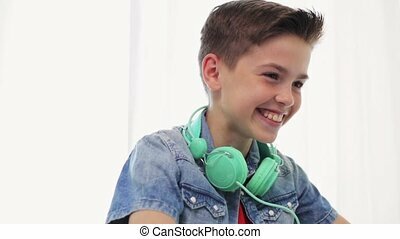 Summer day. 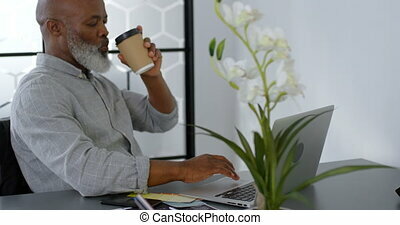 Freelancer working outdoors. 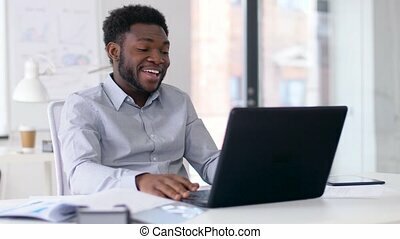 Blue sky and bright sun on the background.